The Most Experienced Bilingual and Bicultural NYS Qualified Counselor in Tokyo. 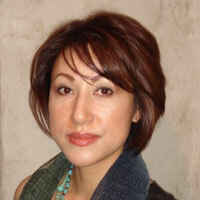 Kazuko Kitatani is an experienced bilingual and bicultural psychological counselor specialized in caring for women and children. qualified school counselor by the State of New York. She also attended Indiana University Graduate School (Communication) in Bloomington previously. Her school counseling experiences include St. John the Evangelist School in White Plains and Keio High School in Purchase, NY. She also held a position of VP, Counseling at CPM Counseling Service in Manhattan between 1997 and 2004, providing individual counseling for local New Yorkers and expatriates from Japan. Upon returning to Japan after living in the U.S. more than 20 years, she has opened a personal practice in Ginza and offering counseling to the families of expatriates as well as local the locals. She is specialized in working with cultural adaptation, educational and inter personal concerns of women and children. To learn more about our services, please contact us by email or telephone. Copyright 2010 Kazuko Kitatani Counseling Office. All Rights Reserved.